GIA Wellness Honors Your Efforts! At GIA Wellness, we realize that our company’s purpose, mission, and vision are realized every day through our Independent Consultants. These passionate individuals are commonly characterized by a genuine desire to make a difference in the lives of others. We consider everyone a leader at GIA – whether you are brand new and just starting your career, or someone who has spent years building a GIA team. We understand that when it comes to a team, each member is unique and essential. So, to our GIA Wellness family, we extend our deepest gratitude and recognize and the desire that fuels each and every one of you. 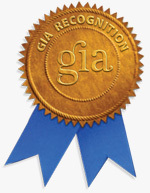 Make sure to check out the various recognition categories shown in the left hand menu of this page to meet some of GIA’s top achievers!